Julia Nadine Doetsch was born in Neuwied, Germany in 1991. In 2016, she obtained her Master`s degree in Global Health (Msc) and in 2015 her Bachelor`s degree in European Public Health (Bsc) at the Faculty of Health, Medicine and Life Sciences of Maastricht University, the Netherlands. 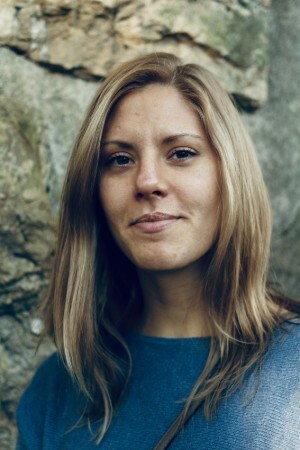 In 2014, she additionally studied Public health with a focus on Nutritional-, and Infectious Disease Epidemiology, Health Psychology, Food and Nutrition Policy, European Food and Nutrition, and Occupational Health, as a selected minor period within her studies, at the University of Eastern Finland, in Kuopio. During her Msc, she was transnational group member of an intra-disciplinary team of McMaster University (Canada), Thammasat University (Thailand) and Maastricht University (Netherlands) and concluded this online program at the `Global health Learning Symposium` in Manipal, India, in 2016. Her Msc dissertation on "Potential barriers in healthcare access of the elderly population influenced by the economic crisis and the troika agreement: a qualitative case study in Lisbon, Portugal" was published as a scientific research article. For her Bsc dissertation she conducted research on “Good practices in Public Policies on Early Childhood Education and Care in the European Union”. She completed her placement (2015) and research internship (2016) at the “EURO-HEALTHY” project, a Horizon 2020 research project, at Coimbra University, Portugal. She worked since 2016 at the aforementioned project as a research assistant. In 2017, she was a member of the Local organizing committee of the International Conference on Urban Health (ICUH2017).